Recently I have begun corresponding with a Deaf family who has been studying about Paganism and undertaking their own spiritual journey down the Pagan Path. Both the wife and husband are Deaf, and they have three Deaf children.Together, the family has begun celebrating the Wheel of the Year and eight Sabbats. I recently shared with the family information about Imbolc, and a ritual that I have used a number of times for celebrating this Sabbat. The ritual is known as the Seven Candles of Life ritual, and it is based upon teachings from The Celtic Wisdom Tarot, by Caitlin Matthews. In her book, Caitlin talks about these seven candles. Each of these candles is illuminated by three spirits. Those three spirits help to represent the meaning of that candle, and they are also archetypes from the Wisdom Cards of the Celtic Wisdom Tarot. The Wisdom Cards correspond to cards of the Major Arcana in traditional tarot decks. 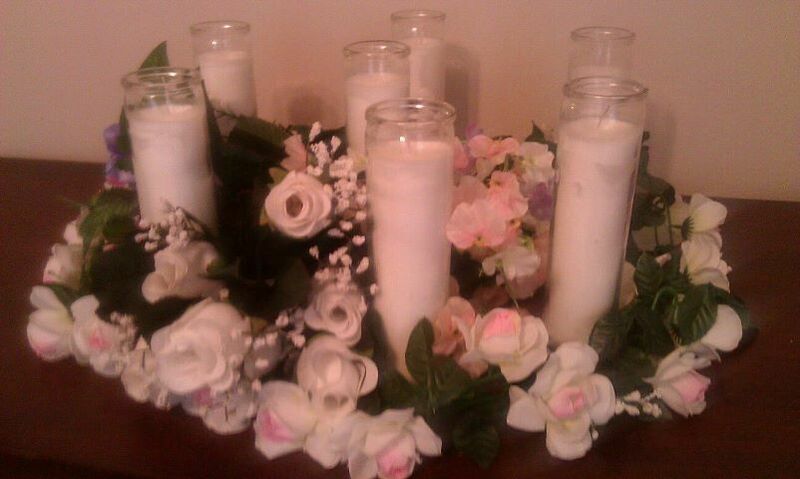 The Seven Candles of Life represent the seven qualities that are important in the overall circle of life. They are the foundation for the wisdom that we consider very important as a part of the practice of our spirituality. However, the wisdom can be shared with anyone and everyone, regardless of their own spiritual path. 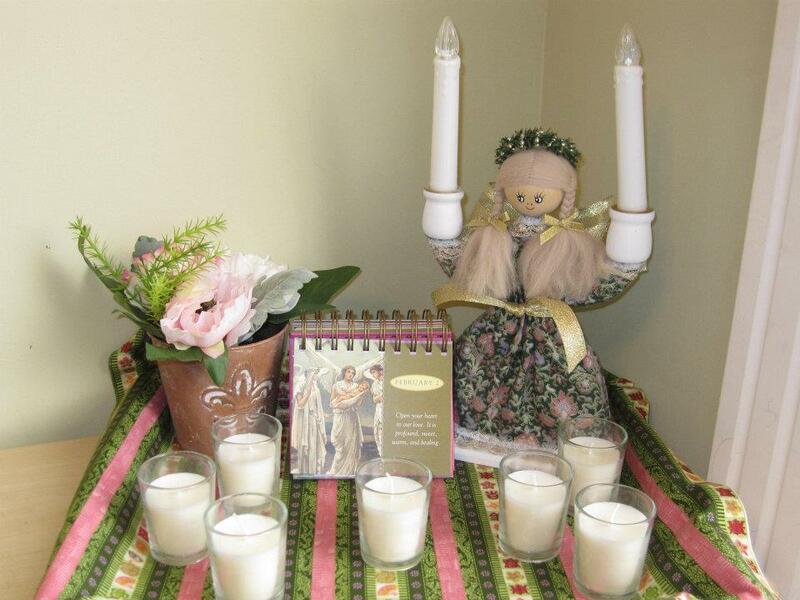 On Imbolc at the beginning of February, I like to light the Candles of Life as a way of celebrating the growing light of the new year, and the new life that will soon begin with the coming of Spring. It’s a good time for making pledges and for renewing my strength after resting all Winter. Each of the Seven Candles has its own wisdom – its own lessons to teach us. Each candle is brightened by the presence of three spirits – three being a magickal number. As we light each candle, we call upon those spirits to be with us, and to give to us of their strength, their knowledge, their guidance, and their love. My friend decided to create her own version of this ritual to recognize and honor the Deaf Community and to ask for blessings for Deaf Children everywhere. She and her family (and especially her own Deaf children) will light the candles at their own ritual and say these prayers to the spirits, sending their energy out into the universe for all. She shared with me the script for her ritual, and I felt it so beautiful that I had to share it here at the Crossroads. As we light the candle of Will, we honor the spirit of the Decider who reminds us always of the beauty of ASL and its true magic in bringing language and communcation to all Deaf children. We honor the Empowerer, and ask it for the strength to always empower others to continue advocating for the use of ASL with Deaf babies. We honor the Challenger as we continue to always question those who try to make decisions on behalf of Deaf people without asking our input. As we light the candle of Truth, we honor the spirit of the Guardian and ask it to be with us to protect the hidden truth that we know inside us all – that ASL is the language for us. We honor the spirit of the Counselor who blesses the revealed truth, and we appreciate the researchers who worked for many hours showing that our ASL is a true language.We honor the spirit of the Changer and ask it to be with us to show the faces of every truth; we are the changer in the world by using ASL, embracing our Deaf culture and loving our Deafhood jouney. As we light the candle of Growth, we honor the spirit of the Shaper who shapes the seeds into the mighty trees they become; we must always be thankful for our Deaf people in our history – those who fought for our human rights (Veditz, Clerc, and others). 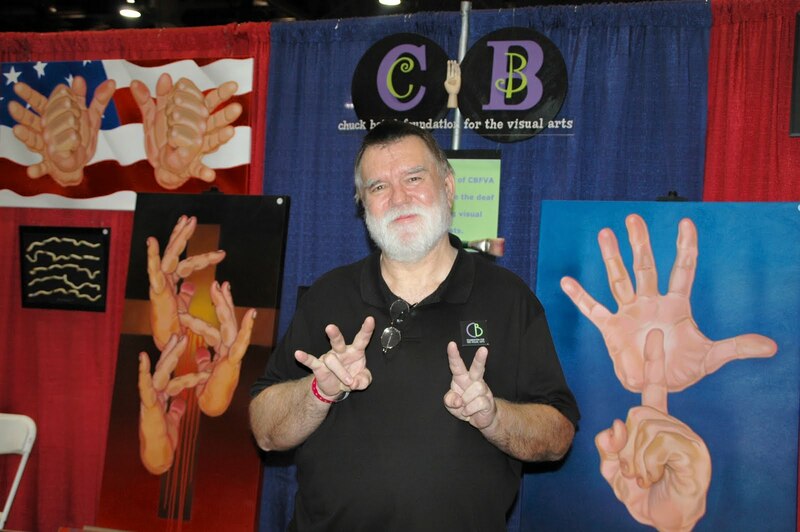 We honor the spirit of the Spinner who scatters the seeds into the winds that they may travel everywhere; we honor the Deaf people who made other Deaf people visible (Deaf Nation, Deaf organizations, Deaf artist – Chuck Baird, and many more). We honor the spirit of the Dreamer who cares for the seeds in the womb of the dark earth; Deaf babies being born on this earth everyday will be the Deaf people in humankind. As we light the candle of Harmony, we honor the spirit of the Keeper who provides never-ending structure and leadership; Deaf schools which advocate the bilingual education for their students require the wisdom of the Keeper. We honor the spirit of the Balancer who keeps everything in proper balance. We honor the spirit of the Imaginer who keeps the dreams of peace and unity alive for all; we must keep our dreams in our Deaf schools and of future Deaf leaders, individuals and the future Deaf Community. As we light the candle of Lore, we honor the spirit of the Recaller who remembers and tells stories of our ancestors in the Deaf community; their stories now being written and recorded on videos must be preserved forever. We honor the spirit of the Dedicator who honors those stories by continuing the traditions today; we honor the many Deaf people who dedicate their time with non-signing people ~ (to my kids – your dad teaches ASL to many many hearing students every year). We honor the spirit of the Protector who serves the ancestors that have passed beyond this world; we remember the Deaf people who struggled and made differences for us today. As we light the candle of Devotion, we honor the spirit of the Lover who keeps the flames of the Soul’s desires burning brightly; the people who share their learnings in worthy books i.e., In Search of Deaf Culture, Deafhood; and we honor the love that we all share for our precious language of ASL and our Deaf Community. We honor the spirit of the Liberator who removes fear and negativity from the Soul and set it free; the fear and negativity that people have about ASL and Deaf people, the fear hearing parents have when they discover that their baby is deaf. We honor the spirit of the Renewer who celebrates the transformation of the Soul and its goodness; who renews the parents’ hope and belief that their children can and will succeed when they start learning ASL and attending programs for Deaf children, the transformation that happens when society discovers that Deaf people can indeed do anything and be anything they desire. As we light the candle of Energy, we honor the spirit of the Dancer who motivates the Soul to move with the rhythm of the universe; and we celebrate the spirit that moves within each of us and brings us together to dance in our own Deaf Revolution as we continue to advocate for our own special place within the Circle of Life. We honor the spirit of the Artist who shows the Soul the true beauty of the universe; the beauty of our language and our culture, and how it is reflected in such works as Chuck Baird, Bernard Bragg, the National Theater of the Deaf, Marlee Matlin, Andre Pellerin, Beethoven’s Nightmare, Douglas Tilden, etc. We honor the spirit of the Healer who brings the Soul home to its special places in the universe, and we remember each and every one of us in the Deaf Community, and our role and responsibility to continue being the healers and bringing the souls of Deaf children into our community, that they might find a place to call home. Nice blog post especially the Deaf connections to it. Ocean, I want to link to your blog from mine (Little Stone House.) I hope that is OK! That’s fine…thank you for the kind words and the link.